Traveling is a great way to explore new places and locations. Whenever the topic of travel is brought to the fore, Korea comes up as one of the top in the list of popular tourist destinations. It may be because of their culture, the warmth and friendly countenance of Koreans, or it may just be because of the absolutely enchanting and breathtaking tourism sights that Korea boasts to have. In any case, traveling in Korea is a requisite in every globetrotter’s itinerary. This spicy cabbage dish is a staple food that Koreans always have as a side dish. Learning to like this will make them appreciate you more. There are lots of places to visit and it’s better to do it by walking. 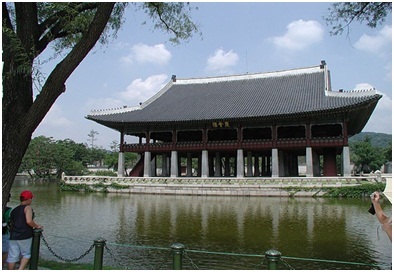 There’s Gyeongbokgung, which is the royal palace of Korea’s last dynasty, the Joseon. 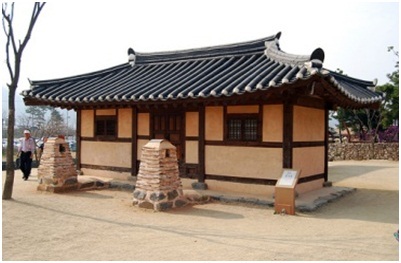 The next stop would be Chongwadae, or Blue House which is said to be the official residence of South Korea’s president. It would also be good to visit Cheonggyecheon, which is a public recreation space in downtown South Korea. It was once a stream that was converted to a park, and now being used for varied entertainment purposes. Your trip to Korea won’t be complete without checking out the great bargains and deals available in the open-air markets and shopping districts in Seoul. Popular spots are Nandaemun, Myeongdong, Insadong and Dongdaemun. Shopaholics are advised to take note since stalls are open until 5am! 4. Ride a cable car. They say the best panoramic view of Seoul can be seen from the Namsan Mountain. 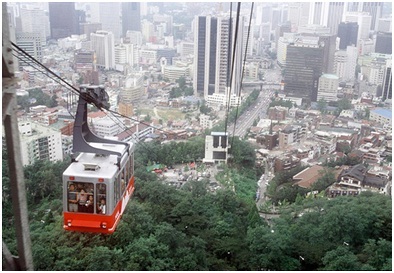 Cable cars run all year round from the base of the mountain to the Namsan Tower. The cable car is said to have become a representative tourist attraction in Seoul, and well-appreciated by both residents and tourists. The Demilitarized Zone in Seoul has a town called Panmunjum, on the border between North and South Korea, which houses the Joint Security Area building. Half of this building is in South Korea, and the other half is in North Korea. So you can go and step on the North Korean side of the building, and then safely come back immediately to the South Korean side. What better way to understand the origins of the song than seeing and experiencing it first hand. And while in the Gangnam district, don’t forget to look out for the “Gangnam Style” Tourist Police. 7. Stay in a traditional Korean house. Travelling to Korea will not be complete if you don’t experience living even for just a day in a Korean home. You’ll get to better appreciate and understand the different Korean customs and practices by getting exposure to all things Korean. It’s part of the Korean lifestyle to stay up late, hence stalls of street food vendors are open up until dawn. They are called pojangmachas which mean “covered wagon”. Some delicacies found here are green onion pancakes, tempura, Korean style sushi, chicken gizzard and noodles. Soju is also a staple part of Korean food choices. It’s a rice wine that is said to taste like vodka, and is now said to be “the most popular booze in the world”. When travelling to Korea, it would be great to have time to do some hiking, biking or just sight-seeing. Seoul weather is excellent for these activities, plus there are plenty of mountains to trek, islands to visit and a lot of historical structures to feast your eyes on like temples, palaces, towers and more. Korea has 13 ski resorts and it would be a pity not to try any one of them. Afterwards, you can visit a hot spring spa to soak yourself in and just relax. If you’re not the active type and would rather see the sights more passively, then getting on the tour bus would be your best bet to explore Seoul. A noraebang is a “singing room” or a videoke bar. Korean families happily spend their free time at these joints which are cheap but still provide a lot of wholesome entertainment. This is usually held every June, or during summertime in Korea, where participants cover themselves with mud. This is said to be therapeutic for the skin. Mud wrestling is one of the popular activities done here, plus other performances and events. The island is said to be very similar to Hawaii. It is one of the top vacation spots for tourists, and is a highly recommended location for anybody scheduled to have a South Korea travel.